We trust medical professionals for have our best interests at heart. Unfortunately, over 250,000 people in the United States die each year due to medical mistakes (CDC). 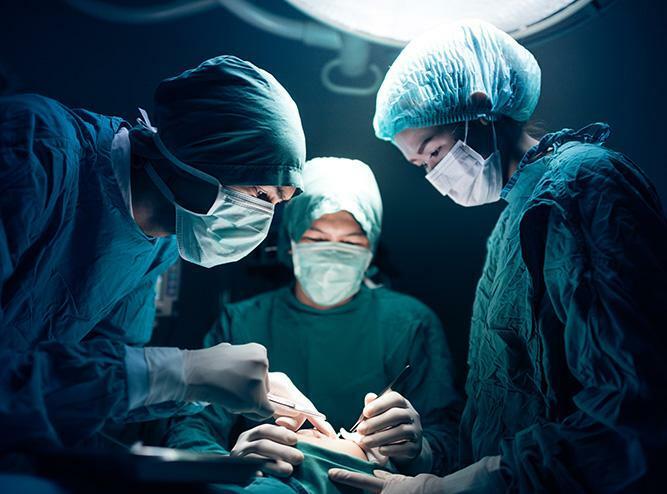 When these mistakes are the result of the negligence or action of a medical professional, then you may be eligible for a medical malpractice claim. Medical malpractice can have serious consequences for victims. It can result in physical injury, illness, long-term disability, birth injury, brain damage, nerve damage, paralysis, loss of quality of life, and even death. Our medical malpractice lawyers want to help you and your family find the fair compensation your deserve. Our Medical Malpractice Attorneys Want to Help You Recover From This Terrible Tragedy. Medical malpractice victims face an uphill battle in their recovery. The injuries sustained from malpractice often require long-term care and large medical bills. Hospitals and their insurance companies are often more interested in protecting their own best interests. You may be confused about your rights and options. The medical malpractice lawyers of Lee, Gurney & Hess are here to help you and your loved ones through this difficult time. Medical malpractice or negligence occurs when a medical professional provides insufficient care compared to the standard in medicine today. A “medical professional” is a term for health care providers. These can include (but are not limited to): registered nurses, doctors, surgeons, nurse practitioners, physician assistants, anesthesiologists, pharmacists, neurologists, dermatologists, and dentists. The statute of limitations for a medical malpractice claim in Kansas is two years. This means that an individual or family has exactly two years to file a claim. The two-year deadline is exactly two years to the day of the death of a loved one or the discovery of the injury. In addition to the two-year statute of limitations, a claim cannot be brought more than four years after the incident. After the statute of limitations, a claim will no longer be eligible to be filed. This is why we encourage you to file a claim as soon as possible. Medical malpractice claims can also result in a wrongful death claim if the negligence or action resulted in a fatality. It is important to file a claim as soon as possible if you or a loved one has been injured, harmed, or killed due to the negligence of a medical professional. The medical malpractice lawyers at Lee, Gurney & Hess will help you navigate this difficult process to reach the best possible outcome. Going up against a large entity like a hospital or health care facility can seem daunting, but our medical malpractice attorneys understand how to handle these complex cases. If you or a loved one has been injured, please contact the medical malpractice lawyers of Lee, Gurney & Hess for a free consultation. We are honored to serve your case!